Well, well, well. It looks as if Kendall and Kylie Jenner are going to have to actually put their money where their mouths are after attempting to sell their tasteless, “vintage” T-shirts that feature photos of hip-hop legends Tupac and the Notorious B.I.G. 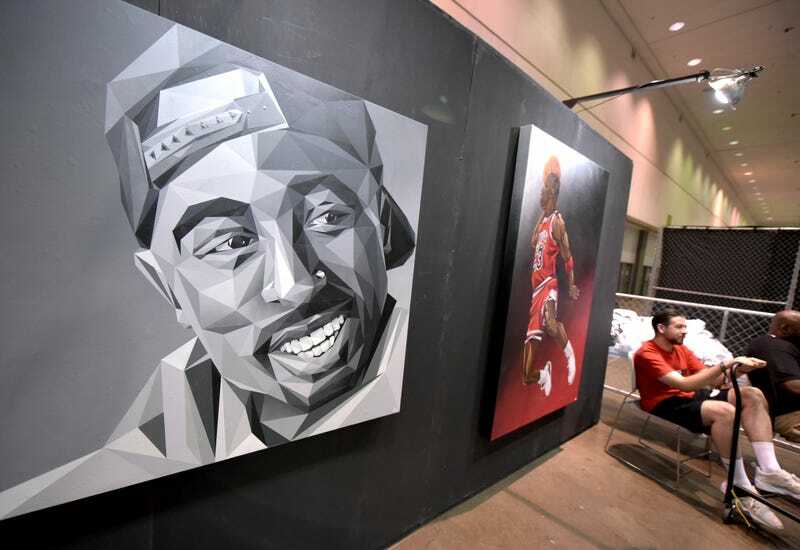 More specifically, Los Angeles-based photographer Michael Miller has slammed the sisters with a lawsuit charging copyright infringement over the use of his iconic photos of Tupac on T-shirts that were sold under their Kendall + Kylie brand. The complaint, which was detailed in court documents obtained by Billboard, notes that “Miller at no time sought to associate his work with Kendall or Kylie or any of their companies,” yet the sisters “have misappropriated and wrongfully exploited at least two original photographs of the late hip-hop artist Tupac Shakur, slapping the iconic photographs on garments and overlaying them with dubious imagery and text” before offering them for sale. But Miller and his attorney were not done eviscerating the Jenner sisters, and aimed some particularly delicious shots at Kendall Jenner, adding in the suit that “an association with Kendall is particularly problematic given that she was complicit in not one, but two of the worst public relations disasters in recent memory,” a reference, of course, to the T-shirt-line fiasco and that horrid Pepsi commercial that ended up being pulled. In other words, Miller ain’t here for the shenanigans or the culture vultures. This looks like it’s about to be a long, hard lesson for the Jenners, but even if they intend to use the backlash as an “opportunity to learn from these mistakes,” as they wrote in their apology, sorry is not gonna cut it for the people. Biggie’s mother, Voletta Wallace, has already blasted the duo for using her son’s image on their T-shirts, again without permission or even contacting the estate.